“Resumes are terrible, It doesn’t capture the whole person. At best, they tell you what someone has done in the past and not what they’re capable of doing in the future.” - Laszlo Bock, the former head of human resources at Google, where his team received 50,000 resumes a week. The generation is getting smarter and more digital, and so are the hiring managers and recruiters all over the globe. The hiring process is becoming monotonous and the recruiters have grown tired of screening text resumes wherein everyone has mentioned a huge number of skills but when finally spoken to at the PI, fail to deliver backing for those skills. With the progress in technology and a noticeable spike in the number of early adopters, ‘video resume’ or ‘video CV’ has become the latest catchphrase for recruiters, students and job-seekers alike. 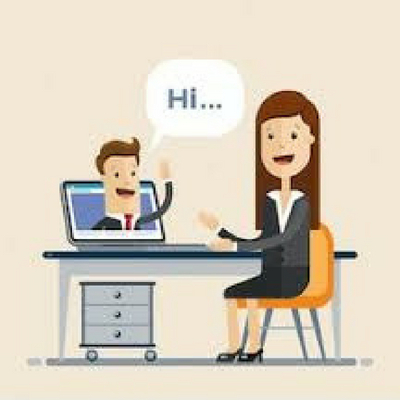 By definition, a video resume is a short video introduction of the candidate which allows them to talk about their skills, talent, and what makes them unique. If you have ever used job portals, you must have noticed a huge number of views any job application gets within a few hours, and how fast the applications start pouring in. A well-made Video Resume increases the chances of getting noticed by a huge margin. 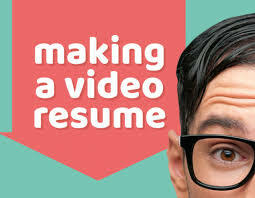 But what is the process of making a good video resume to make sure you are a step ahead of the other applicants with this blooming technology? 1. You are dressed well and look presentable just like you would if you were going for a face-to-face interview. If you don't feel like decking up in blazers, you can simply wear a nice shirt. Men - please make it a point to be well-groomed with your hair and beard! 2. Your surrounding is noise free and well-lit. Make sure you are away from loud cars, fans, AC or traffic and give the interview in a silent and lit up the environment. 3. Make every second count! The first 5 seconds of your video resume can make or break your application. If you don't manage to engage the recruiters in the first 5 seconds, he or she may switch to the next candidate. So, make sure you use every second wisely! For example: Since a video resume should ideally be between 1-2 minutes, start with your name, your field specialization and maybe highlight some key skills that are perfect for the job you wish to apply for. Use the next 30-50 seconds talking about your interests, personality, and talents that can engage the listener on the other and make them want to invite you for a second conversation. Remember: The first impression is the last! 4. Just be yourself! Share your stories, be honest about who you are and how you can bring a good change to their organization - that's all they really want to hear. It might be a little scary or uncomfortable at first, but the best part is - you have unlimited retakes before you submit it finally. Practice makes perfect! With the Autogram app, you can create your video resume, apply for jobs and also practice being interview ready. Read more on how you can prepare yourself for the weirdest interview questions here!